Remember the blue-eyed tea-seller, Arshad Khan from Pakistan, who had everyone’s attention on social media and off it for a little while? Well, there’s a new one on the block, only with a different name, profession, gender and country. 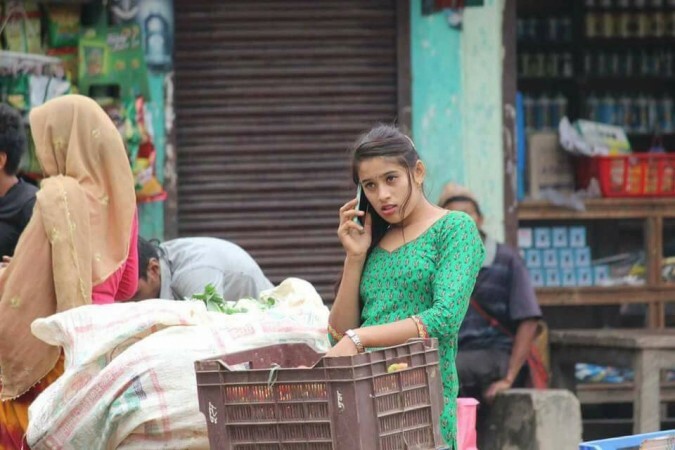 A Nepalese tarkarwali (that is what she is being referred to on social media) or vegetable seller is the latest internet sensation. A couple of candid photos of her, taken by a certain Rupchandra Maharjan, have gone viral on the internet, The Gundruk Post reported. Arshad Khan’s career took a massive jump after the extensive media coverage the viral photos got him. He appeared on popular TV shows in Pakistan and even bagged a modelling project. Only time will tell if the Nepalese woman will meet a similar fate. the VAIBHAV: Pakistani #Chaiwala can’t propose to Nepali #Tarkariwali because he has to go through India. Sabyasachi Puhan: When both cuteness and hardwork goes together, it results in #Tarkariwali from Nepal. Social Media Fame Jindabaad.